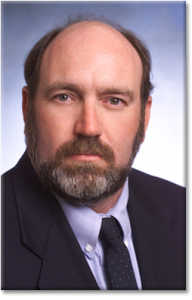 Hurricane Matthew Insurance Claim Attorney - David R. Heil P.A. Hurricane Matthew insurance claim. 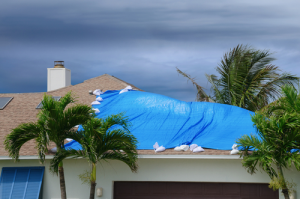 Understand all of the rights that you are afforded with your homeowner’s insurance policy as it pertains to insurance claims associated with the recent devastating storm. Call me to learn about your rights when it comes to home insurance, automobile insurance, renter’s insurance, boat insurance or anything related to items that might have been affected by Hurricane Matthew. Due to the influx of insurance claims in the wake of Hurricane Matthew, insurance companies may be busier than usual. Don’t wait until it is too late or until your claim is rejected by your home insurance provider – get in touch with an Orlando, Volusia county & Melbourne, Florida trusted insurance lawyer and make sure the process results in your favor. Call us today to speak directly with an insurance claim attorney at 1-800-952-1622 –I am available 24 hours a day, 7 days a week for your convenience. Was your business or place of work affected by the recent Hurricane Matthew? David R. Heil, P.A. is here to assist you with making sure that you are fully reimbursed by your insurance company for the damage sustained by the recent storm. I am here 24 hours a day, 7 days a week for your convenience, so give us a call at 1-800-952-1622 to discuss your business insurance claim associated with Hurricane Matthew. Our goal is to make sure this process is as easy to navigate as possible and that you recover what is rightly yours. More often than one would assume, I find that individuals have been denied the claim that they have filed with their insurance company in the wake of the destruction from Hurricane Matthew. I am here to help those who are in the difficult situation of not knowing what to do after receiving this denial. Please contact my office today to set up a free consultation – even if you were denied your insurance claim for Hurricane Matthew, there are options available! With offices in Orlando and Melbourne, we are in the perfect position to help you with disputing the claims process. We offer insurance claim disputes in the wake of Hurricane Matthew in Volusia County, Orange County, Flagler County, Palm Coast, St. Augustine, Ormond Beach, Palm Bay, Melbourne, Daytona Beach, New Smyrna Beach, Titusville, Cocoa Beach, and many more! If you have recently been denied your insurance claim, get in touch with us and we will explore the options available to you!